Hunters were said to like heart shaped bags because the shape forced the contents to congregate in the bottom and be less prone to fall out when moving quickly through the woods. 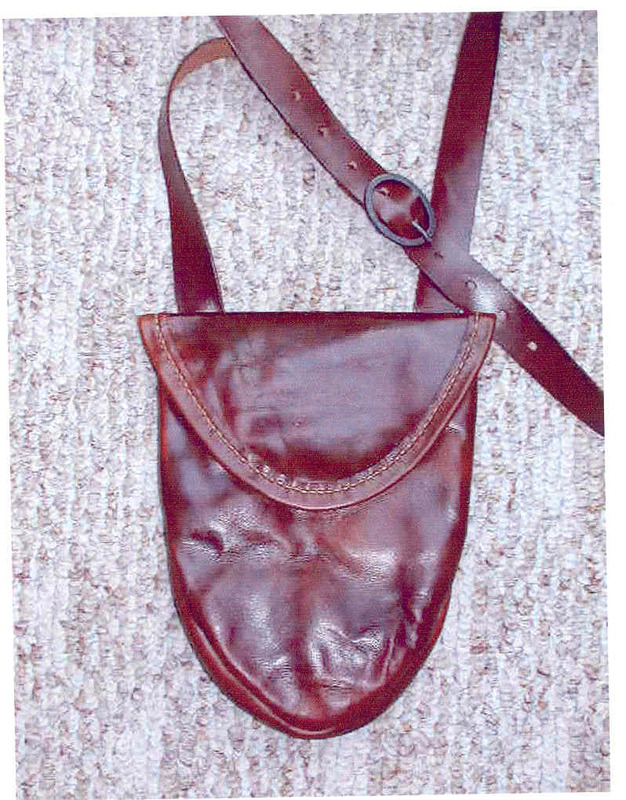 This Bag of oak tanned cowhide is oiled and dyed, measures 7" wide x 9 1/2" high, is fully lined with light weight unbleached ticking, has a 2" gusset, a canoe pocket within the main pocket, adjustable strap with a hand forged iron buckle and a bound flap edge. Sewn with waxed naturl linen thread.